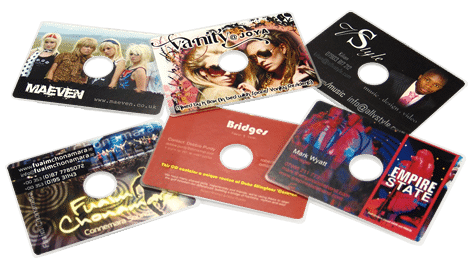 For something c0mpletely different, why not try our business card CDs? 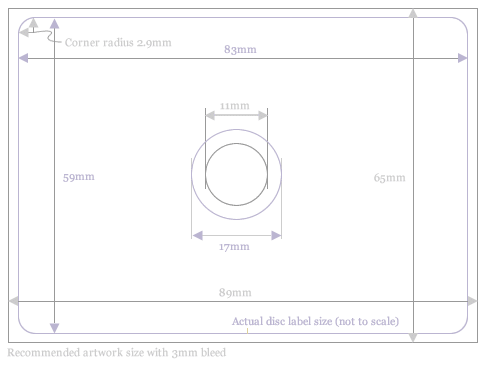 They are the same width as a credit card and will work in all CD drives (except slot-loading drives) by fitting into the smaller 8cm circular depression in CD trays (the discs have a raised 8cm edge on the underside to help them locate centrally in CD drives). 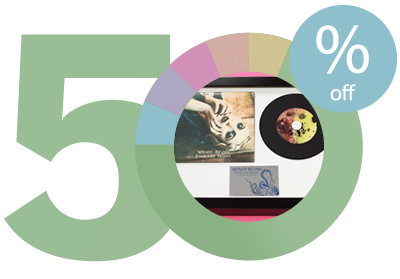 The capacity of the CD business cards is 50MB which comes to about 5 minutes and 42 seconds of audio in total if burnt as normal audio CDs, however if we burn them as MP3 discs then you can get 50MB of MP3 tracks onto the disc, however they then wouldn’t play in non-MP3 players. 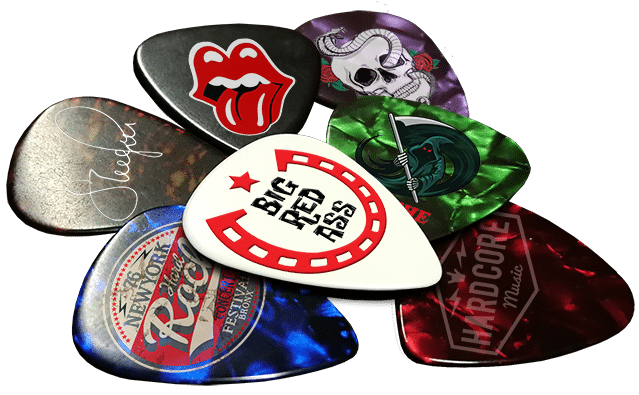 The discs come with full colour printing on one side and are supplied in a clear plastic wallet. They can either be provided with your contents pre-loaded or can be supplied as blank discs for you to burn yourself as required. 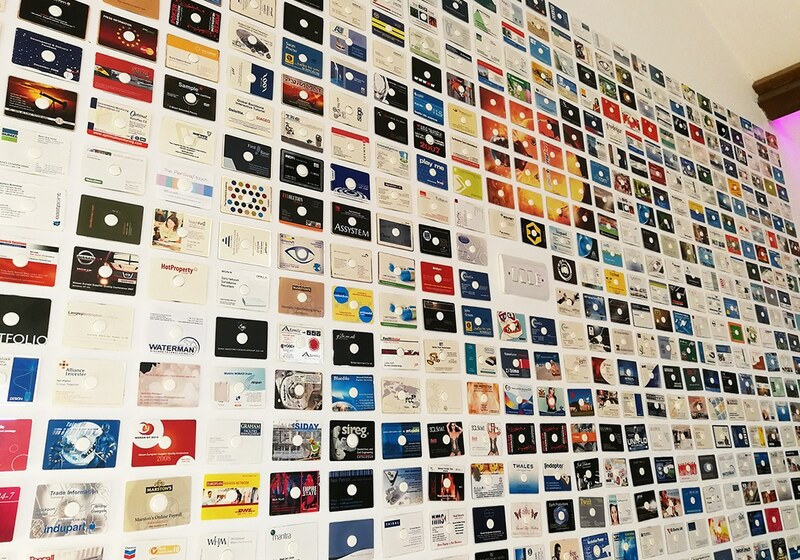 We have produced over 500 different business card client orders over the years, with some of them residing on the walls of our office as shown below.